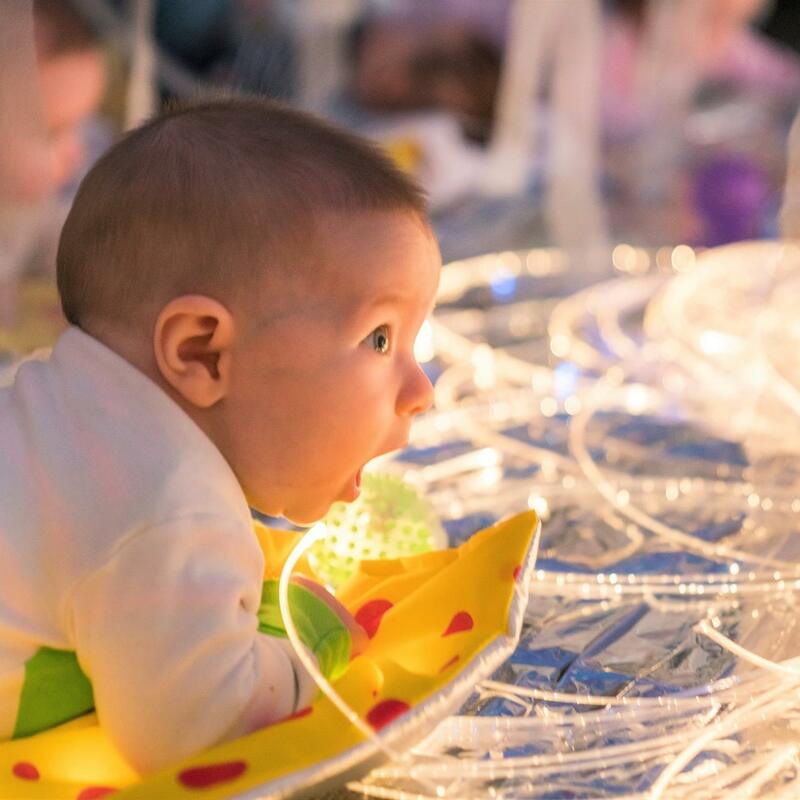 Take your little one on an adventure where babies and toddlers are transported to new worlds, through spellbinding stories and fun activities that bring their senses to life. 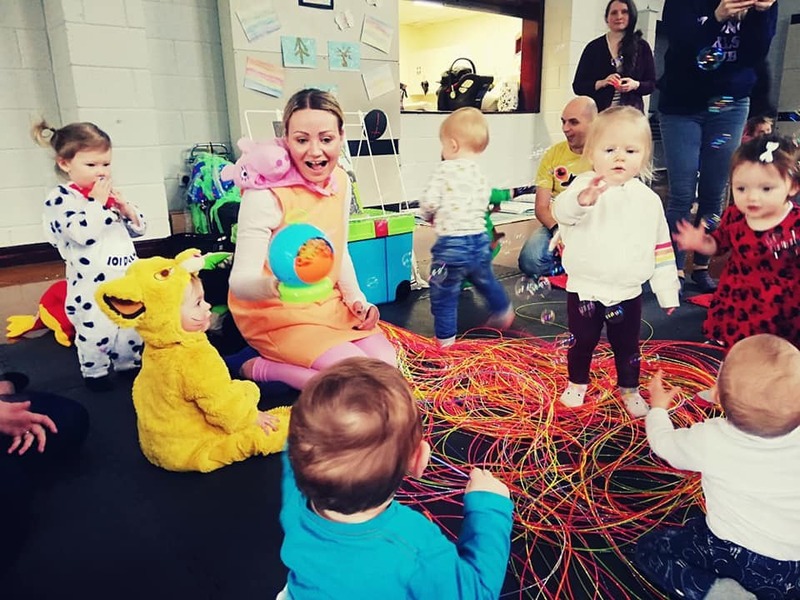 Multi award winning themed adventures begin with an interactive story telling session and are followed by exciting sensory activities including interactive storytelling, sensory props, messy play and more! Adventure Babies founder, Emma Garbett, is extremely passionate about developing future readers! Reading well and with enjoyment, is a skill that unlocks opportunities in school and later life. 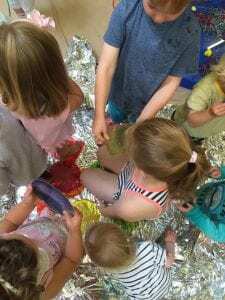 Our classes show how enjoyable reading and stories can be through sensory activities that will capture your childs’s imagination bringing new worlds to life. We aim to foster a love of reading that we hope will last a lifetime. Amazingly, by the time your baby is one they will already know all of the sounds needed to speak their native language. 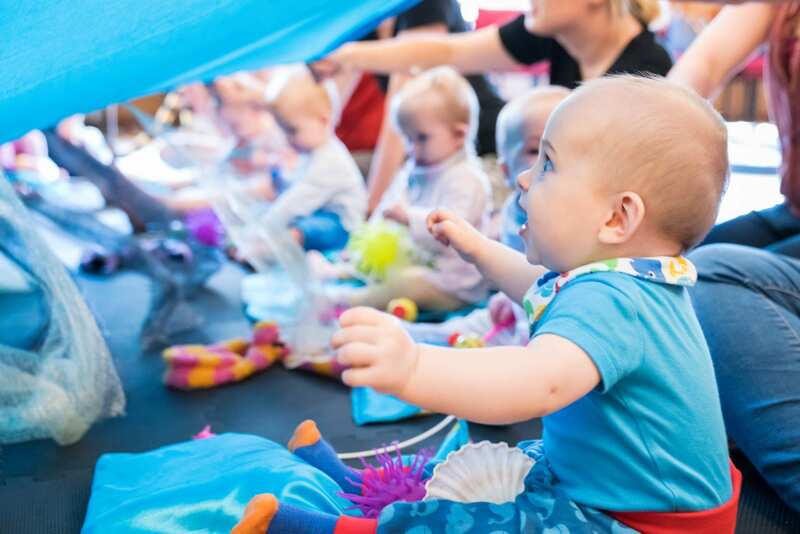 An Adventure Babies class creates a wonderful opportunity for these vital communication skills to be developed along with many ideas to take home with you too. Join us! Begin your new adventure! Adventure Babies is a sensory, storytelling class for aged 0-4 years. We bring brilliant books to life through sensory props and activities which supports language and communication skills, physical development and sensory development. Our classes are a proven hit with parents on a national scale and we are now a multi award winning business. Join our award winning team and own your own franchise. Our growing network of franchises provide a wonderful opportunity to own and run your own proven and successful business which is flexible to fit around your family life, financially lucrative, allows you to control your work life balance and most of all is fun and rewarding. Franchises offer amazing value for money costing as little as £174 per month through a Government Start-Up Loan. The cost includes all the resources you will need plus full training, marketing and much more. So could Adventure Babies be for you? Do you share our passion for books and reading? Do you have a strong interest in baby development? Are you bubbly, outgoing and enjoy being around adults and children? to discuss this further we would love to hear from you!